Add Karl Klug’s name to list of rookies from the University of Iowa that are making a strong impression in NFL preseason camps. 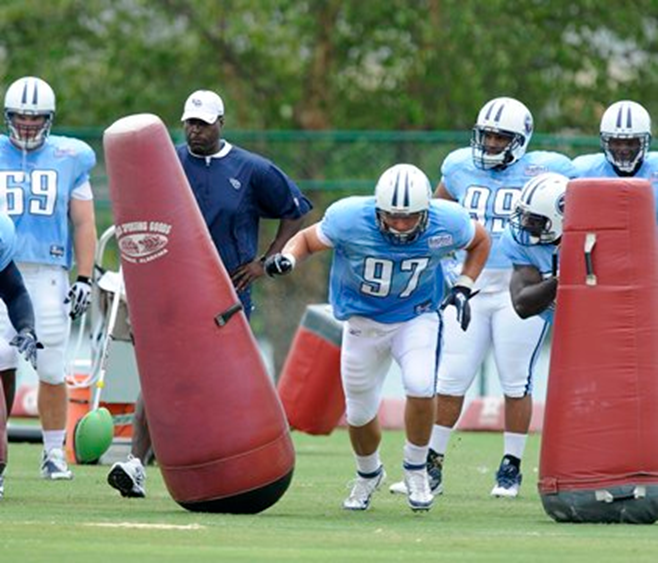 Klug, a defensive tackle from Caledonia, Minn., has performed well enough in practice for the Tennessee Titans to where he’s now rotating in with the first-team defense. Klug started his last two seasons at defensive tackle for Iowa, earning second-team all-Big Ten honors as a senior in 2010. Tennessee selected him the fifth round, making Klug one of six players from the 2010 Iowa team to be taken in the 2011 NFL draft. Two of Klug’s former Iowa teammates, defensive end Adrian Clayborn and safety Tyler Sash, also have performed well as rookies in preseason camp for the Tampa Bay Buccaneers and New York Giants, respectively. Clayborn is pushing for a starting position in Tampa Bay and Sash also has worked with his team’s first-team defense. Klug was soft-spoken and humble at Iowa and nothing seems to have changed based on how he’s handling his early success with the Titans. Klug is surprised to be working with the first-team defense this soon. The Tennessee coaches considered moving Klug, who weighed around 270 pounds as a senior at Iowa, to defensive end because he is considered small as a tackle by NFL standards. But now they’ve decided to leave Klug inside. Klug also drew praise from Tennessee defensive line coach Tracy Rocker for not only his performance, but also for how he approaches each practice. “Playing the three-technique he’s shown that he can hold the point of attack and then he can also create off the one-on-one move in pass protection,” Rocker said. “And the thing is he’s been business-like every day in practice. “There are not a lot of missed assignments and he’s taking coaching. It’s been enjoyable to watch.